Every auction, the creative team at Classic Auctions produces a high quality catalog distributed to all active bidders. These catalogs are an effective marketing tool for our consignors and became over the years a collectible piece themselves. Our Auction Catalogs are sent, free of charge, to all registered bidders who have placed a bid during our last four years of auctions. 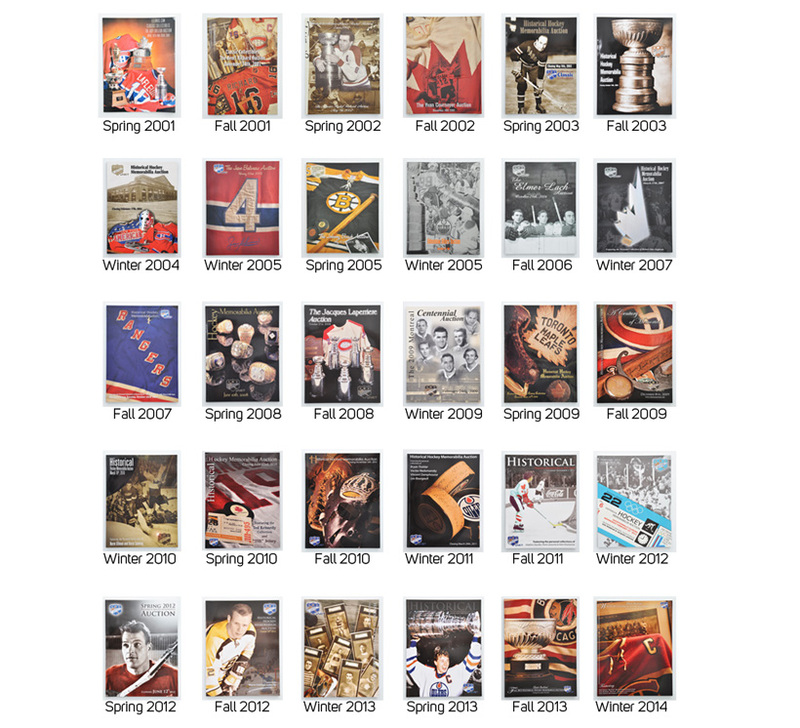 Our latest catalog is also available to purchase for $30, or you can also order the annual 3-volume run of our Winter, Spring and Fall catalogs for $75. Simply drop us an email at catalogs@classicauctions.net, and we'll be happy to send them to you. If you are interested to order a NEAR COMPLETE RUN, simply email us at catalogs@classicauctions.net with your name, email and address. Shortly after reviewing the order, we will send you a PayPal invoice, payable via your PayPal account or as a guest on their website. You do not need a PayPal account. More than 25,000 lots of hockey and sport memorabilia! This is a limited time offer. 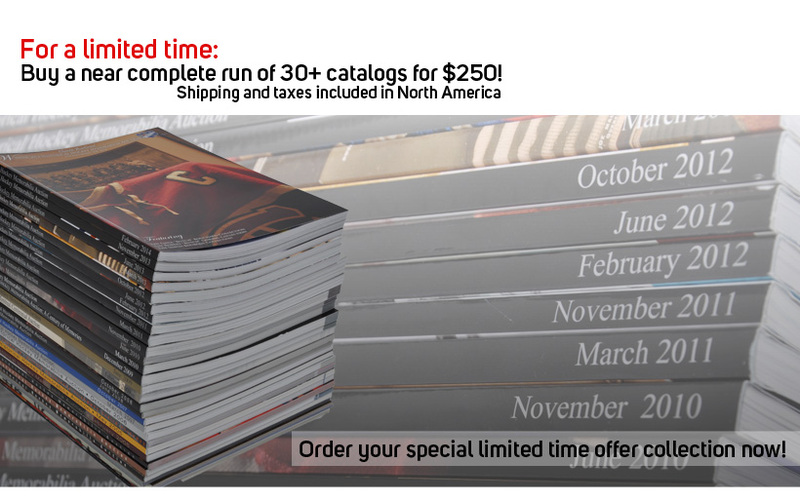 Click here to email us and order your catalogs now.